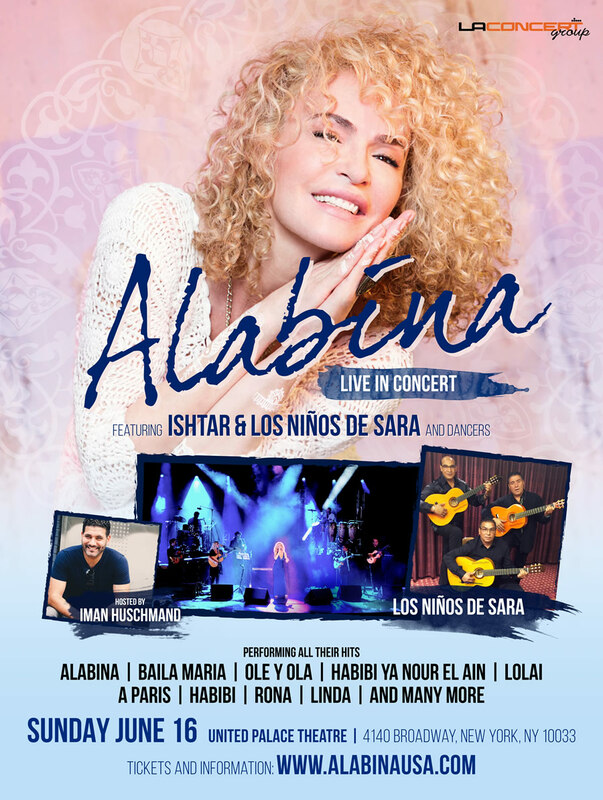 Alabina featuring Ishtar & Los Ninos de Sara Live in NYC! Sunday June 16 2019 - in NYC! Ultimate evening of live world music by legendary Alabina! An evening of world music at it's best by Alabina - the legendary French-based group performing mix of world music: Middle Eastern, Arabic, French, Hebrew, and Spanish Gypsy music. All time favorite hits: Alabina, Baila Maria, Habibi Ya Nour El Ein, Lolai, Yalla, Apprivoise-moi, Eshebo, Linda & much more! Tickets range $30 to $160. An evening of world music entertainment at it's best! Featuring Ishtar and Los Ninos de Sara as headlining act- including 13 member live band and dancers!